Tips For A More Successful Sensory Christmas! 1. Keep a routine as much as possible. Using visual schedules can be helpful so they know what is next. 2. Enjoy short and simple activities. 3. It's ok to have a personal family only Christmas. 4. If you do go out for Christmas, explain sensory challenges to everyone ahead of time. 5. Have a quiet room or space for your child to be alone when they get overwhelmed. 6. Take your child's weighted blanket and sensory tools. 7. While you are out remember that it's ok to leave early; watch your child's signs. 8. Shopping for children with SPD can be unbearable. Try to shop without them if possible or shop in smaller shops with less people. 9. Try to make Christmas day last for days or a week, not everything all on one day. 10. Most areas have a sensory Santa, it's better to schedule a time as a visit to Santa can be too much for children with SPD. 11. If you are going out to dinner bring your child's choice foods because most will not eat what is served for Christmas dinner. 12. Read social stories to prepare your child for Christmas events. 13. When you notice your child is coping well, praise them as much as possible. 14. Stick to your child's sensory diet as much as possible during the holidays to keep them regulated. 15. Allow time for scheduled sensory breaks and exercise. 16. Don't forget your child's noise cancelling headphones. 17. Bringing an IPad if they use one will be helpful to keep them busy or they could listen to earphones to avoid most noise. 18. Lower expectations as most children with SPD will have meltdowns during holiday events and dinners as they get overwhelmed. 19. If your child has several gifts, open them gradually so they don't get overwhelmed. 20. Include your child with decorating the tree but remember flashing lights or musical decorations can be too much for a child with SPD. 21. 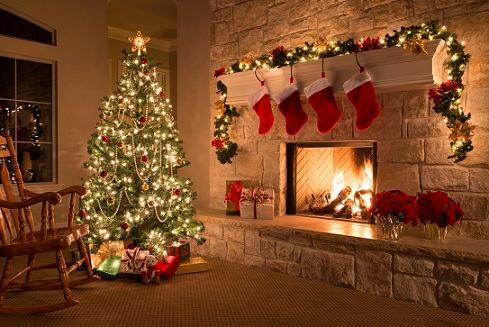 Keep Christmas decorations on the walls and in doorways limited and simple. Gradually add them to your home. 22. If your child doesn't want to open gifts in front of others, try to respect that. 23. I know as a parent that you want your child to enjoy Christmas events but how everyone else enjoys it will be different from how your child enjoys it. 24. Before attending events, make a signal or sign that your child can use to let you know when it's too much for them. 25. Don't be afraid to say no to having visitors over. If you do have visitors it's ok to have a time limit. 26. 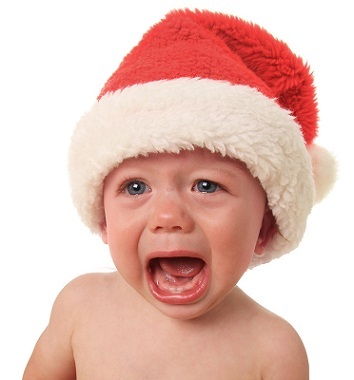 Don't force the Christmas on your child that you want to have. 27. Let your child run, jump, spin or swing as much as they need too during the holidays. 28. Think of the human senses. Smells at Christmas can be strong, sounds can be too loud and lights can be too bright. 29. Less can be best. Too much of anything is usually going to be overwhelming. 30. Enjoy yourself! Have a glass of wine and have a Christmas that works for your family, it doesn't need to work for everyone else! If you are having a child over for Christmas dinner that has SPD or plan to attend an event with a child who has SPD..... PLEASE be understanding.